This short and interactive course of three days specially designed to introduce basic training techniques to the ships senior officers, in carrying out extensive on board training and assessments, as required under STCW 95. Be able to prepare a structured training program for imparting of training to cadets and officers for the next professional level. 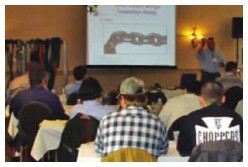 Plan an On-board training program. 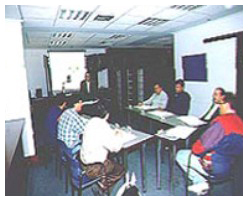 Effectively imparting training using modem methods of presentation and teaching. Prepare and hold a realistic emergency drill. Objective and continuous assessment of officers / trainees progress and their further training needs. The Human Factor (Effective Trainer Characteristics). Effective Training with Video Films. Cadets structured shipboard Training Program. Role of Facilitator / Trainer. Conduct of Training / Demonstration session. Conduct of an Emergency Drill. Assessment of Trainees and Evaluation of Training program.